the virtualbox still can't find my usb to boot. i'm try assigned port with IDE master and Sata still no luck...when VMUB start the Oracle Virtualbox always show sytem halted. Well, that seems to be a different problem. Are you sure that the USB drive is bootable...? I mean, can you boot from it in a real computer? Which application have you used to make it bootable...? 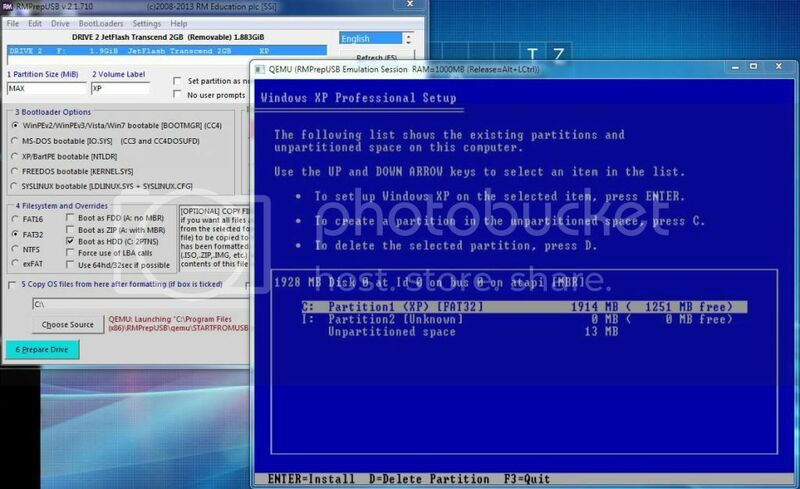 take a look on his explorer and the adressline .. it's an other folder than he use .. mus use on his stick ..
take a look on his file-seach-adressline ..
i'm using RMPrepUSB to make my usb bootable. i've try to boot my flashdrive on real system and it can boot and install WinXp succesfully. 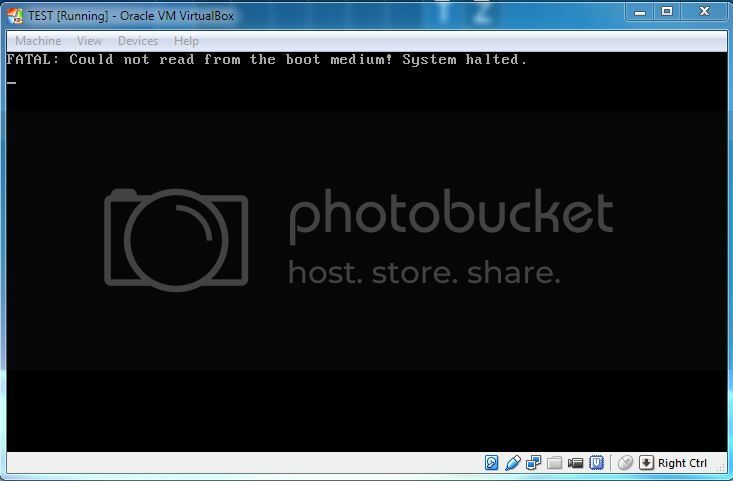 I assume if you try now to start the VM directly in VirtualBox Manager it will still display the same message. If it starts with Qemu and on the real computer but not with VirtualBox, it could be a VirtualBox problem. 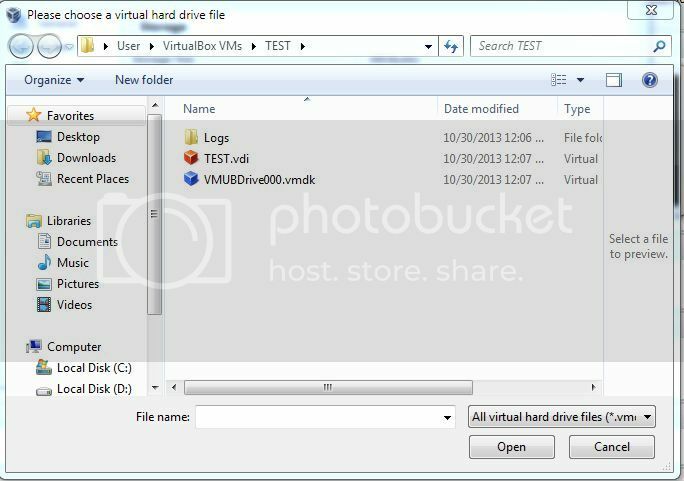 Could you please send me the Test.vbox file (the VirtualBox VM)..? Also could you please show me how you used RMPrepUSB so I can try to reproduce the problem on my USB drive...? Could you please send me the Test.xml file (the VirtualBox VM)..? Also could you please show me how you used RMPrepUSB so I can try to reproduce the problem on my USB drive...? i'm gonna try install VirtualBox on another computer with fresh windows. maybe my VirtualBox corrupt someway...i'll let you know soon. Anyway i'm only found virtualbox.xml not Test.xml on my virtualbox folder (C:/Users/User/.Virtualbox/virtualbox,xml). Did you try pressing F12 and choosing a boot device in VBox? You will find the file in this folder if you open it directly..
1. You can now add a CD/DVD device (real, virtual or ISO file) to the Qemu VMs. 2. In the main window you can now sort the entries by type (Qemu/VirtualBox) clicking on the header of the first column. 3. It's easier now to debug Qemu start errors. 4. A few small optimizations to some portions of the code. 1. You can now set in Options the default VM type (VirtualBox or QEMU). 2. If you set the memory size of a QEMU VM higher than half of the total physical RAM size (available for Windows) VMUB will warn you (but you can still set it if you want). 3. A small GUI bug from the Beta 1 improvements was fixed. 2. A few improvements to the text of the warning and error messages. This is a windows only program right? Would it be possible to compile it for Linux? I am not answering, instead, I am posting a "me too". In other words, I came to this forum to look up information about using a USB key drive made bootable, to start a Vm (in VirtualBox), but on Linux. This was an entirely Windows-centric thread as far as i saw when I scanned it, and it amazes me how tech people sorts themselves into exclusive communities that do not even acknowledge other communities. For example, the original post by DavidB does not even show the term "Windows" until entry #9 under "TIPS". And nowhere does the term Linux appear in that top post. So, it is a more than reasonable (set of) question(s). "Can it run on Linux"? "Can the source code compile on other OSes"? It's jumping the gun for me to say so, but my response is (a guess, totally based on background knowledge) No, this tool will not run on Linux (not in any way shape or form, not Wine, whatever) and no, it cannot be compiled for Linux. USB is system driver programming, so if someone thinks it is just a trivial thing to make a Windows utility build and run right on the other kind of OS they are guessing out of basic ignorance. The system level is where the OSes differ extremely from one another, in other words. it is only the rare project leader who seems brave enough to create a utility like that that is maintained for more than one platform. I do not blame DavidB if he isn't up to doing that. 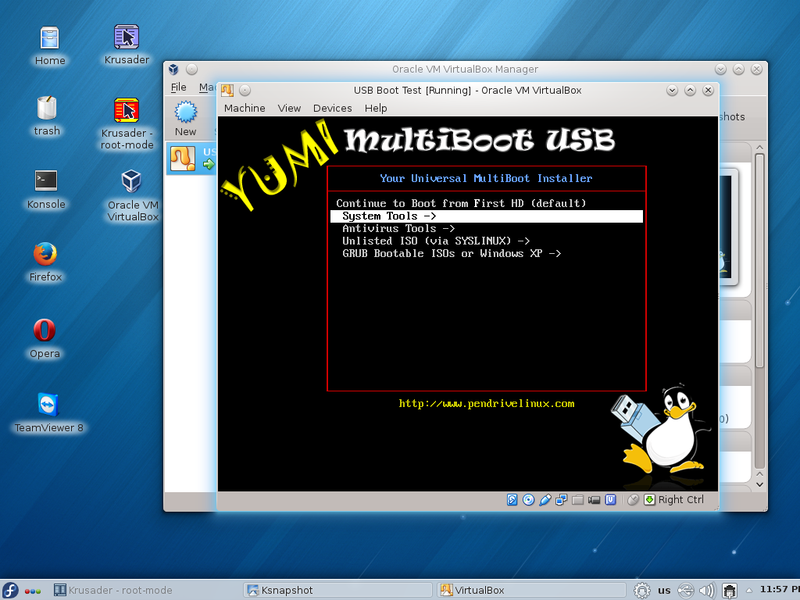 The last time I checked, it was, by the way, very unworkable to try to boot a VirtualBox VM from a USB device on Linux. It just doesn't work right. While it might look like some pieces are there, extreme bugs were (as late as 6 months ago) apparent to a user like me who experimented with it. OTOH, the QEMU software was able to do it for me on Linux. I am not sure to understand (actually I am sure that I don't understand) the sense of your post. Maybe, if you start (not here, but rather here: http://reboot.pro/fo...er-os-flavours/ ) a new thread detailing what specific issues you are having, someone may help you. Unfortunately, yes, it is a Windows only program. And the sources cannot be compiled for Linux. Because it uses many Windows API functions and it's not that easy to find similar functions in Linux. For some of them it isn't possible so an workaround must be found. I used Delphi 7 for Windows to create it. The problem is I can't find a decent version for Linux. Kylix is poor and too old. Lazarus is better but not by much. Sorry to say but it's buggy and not so "user friendly" as Delphi. I tried it a few months ago in my Linux. Even with the latest Lazarus build the application's GUI was slow and buggy. That's probably because I am a native English speaker and a highly literate one. I find that this is a problem on the Internet in modern times. It's not my problem, though. It's a problem other people are having. And I've learned (over 50, here) to not automatically make other people's problems my own. So, I think most readers can understand the meaning of my post pretty well, and if not, well, it's not because I did not try to write clearly, completely, and correctly. Actually the Internet is overbrimming with people of all nationalities who exhibit very serious cognitive disabilities, and it is not just a matter of lingistic educational background. These people's problems are not mine. Hopefully that clarifies things for other readers who may come along. 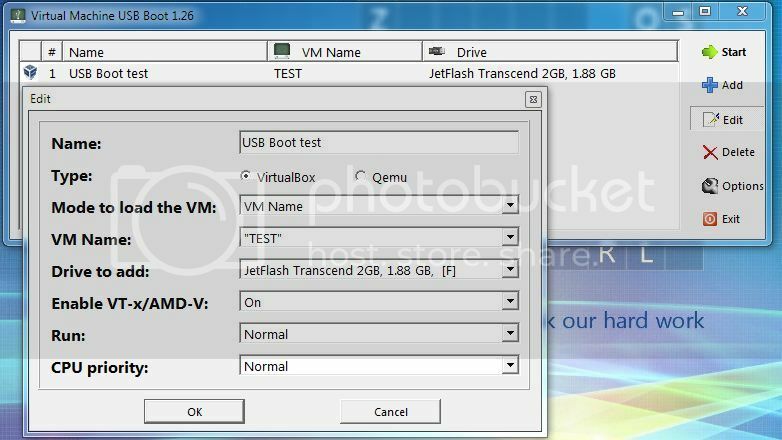 "Some say that USB booting of virtual machines in Linux using VirtualBox from USB drives used to be unreliable". More than one person in this thread reports it. Is it true right now? When I have some time I will look into it. I don't take for granted that what I read on forums is fully correct. When I have some time, I will look into it. Why do I keep saying that? "When I have some time ..."? Because there is incredible amounts of bad information being volunteered on the Internet. In forums just like this one. And all over. People seem to enjoy posting what they know. It clearly does not matter to some of them if they've tried something out themselves or even thoroughly researched. But then if anyone contradicts them, very commonly, they go absolutely bonkers with taking offence. The net result is incredible amounts of time wasted. Wasted time with the occasional real expert replying to these gumbys. Wasted by learners who hope to get insight to how to solve a problem they want to solve, and get led to try something that was doomed, totally doomed, to fail, from the very start. Because some well-meaning person posted typical forum-style advice or comments in a typical forum way - usually in barely adequate English as well as not meeting the criteria for believable advice (substantiation relevance detail and reference). I'm always trying to catch up from the time people like this make me waste. I don't find your contradiction of what I wrote convincing, sorry. Go ballistic if you want. But you cited ("Using a physical drive or device in Virtualbox under Linux is fairly easy.") https://www.virtualb...09.html#rawdisk and I went there and thought "Oh, I recognize this. Been here before." Apparently fairly easy is an easygoing translation from: Warning Raw hard disk access is for expert users only. Even at that, NOTE that nowhere in that section is USB specifically mentioned. I'd love to see a complete and therefore convincing, useful blog-like article with step-by-step, maybe screenshots, snippets of code or configuration, etc., from someone who has actually made such a setup work (in VirtualBox, on Linux) - booting from a USB drive. Sorry, this was all rather off the topic of the thread. I just put it here because I want to try not to waste other people's time even though other people seem extremely ready to waste mine. It's an old old ethical thing. "Do unto others ...". So readers can read it all here. And not waste their time. I will not reply here to further challenges on this matter. Ciao. I thought it was instead because the immense size of your ego covered what you wrote. Sorry for having wasted even a little bit of your precious time. of course it's hard to say if it is "complete" and "therefore able to convince" you, this would be a very debatable matter. I will not reply here to further challenges on this matter. That's good , so I won't waste my time with it. JFYI, to enlarge your linguistic capabilities beyond your native English and highly literate status, "Ciao" is Italian (of which I am a native speaker) and it is considered very unpolite to say "Ciao" to a stranger (on the Internet or in person), particularly if you are 50 or so and if the other one is fiftyish as well. The exception being if you say it to a friend of yours (I am not, and the probabilities to become one are very scarce). The newest version is 1.2 RC1. Seems like the IDE was a little improved and they fixed some of the bugs. It's just the main window without the code.